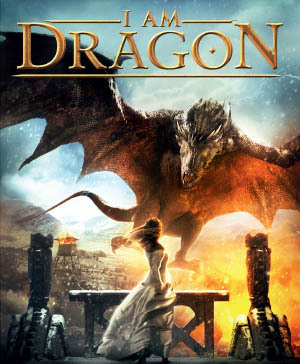 I Am Dragon (trailer) is a Russian fantasy/drama film that came out in 2015 and yes I know it's technically a wyvern. When I showed clips of it to dragon furries, that's the first thing they said, in a tone of voice like I'd gotten their hopes up and then betrayed them. For a live-action film, it uses a lot of computer graphics (around 85%), and looks pretty good! The setting felt very real to me. 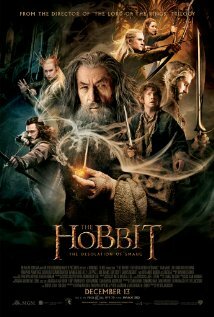 Production costs were about $18 million, and it flopped at the box office. As movies go, it's... ok. I say this with some reluctance. If you're a fan of dragons, you're not missing much. 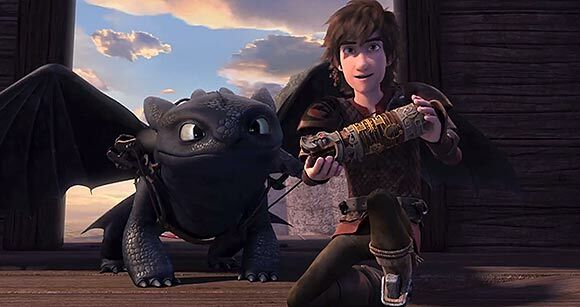 Back-story: A line of dragons lives on a secluded island, and in a medieval town, the people perform a ceremony and song with which they offer their maidens as sacrifices. This summons the dragon who flies off with one of them, until one day a warrior decides he's going to rescue the woman he loves. He finds the island (too late to save the maiden), slays the beast, and the sacrificial rite is turned into a local wedding ritual, minus the dragon. Almost 30 years ago, Dragonlance exploded into the role-playing world with new sets of player characters and a fresh take on monsters. In my circle of friends, reading about Dragonlance proved more interesting than actually playing in the setting. It's my understanding that there are over 200 novels and collections in the Dragonlance universe. I believe the last new Dragonlance novel was released in 2010, with the last reprint released in 2011. Along with Dungeons & Dragon's world of the Forgotten Realms, Dragonlance was one of the most popular shared worlds in fiction. 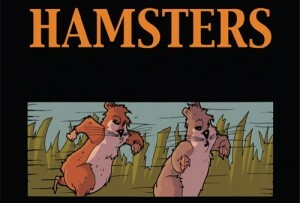 I wouldn't be surprised if there were more of these books waiting for us in the future. When I last set foot on Mount To-Be-Read (what I call my queue of unread books) this old classic was waiting for me. I have had mixed experiences with the Dragonlance books and I hesitated at reading it for a moment. But then I wondered how the dragons of Dragonlance would stand up to a furry eye? That made me curious as I tended to read the TSR novels as I would read any other fantasy novel. Maybe I shouldn't have a different mind set when reading different sub-genres but I do. I look for more logic and more relationship in furry stories either with the environment or with other people/creatures. While in a different sword and sorcery fantasy realm, I care more about mood and the character's struggle to reach his goal. 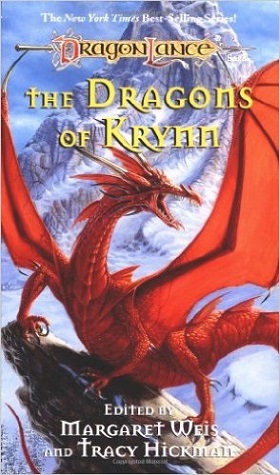 So, I set out to read The Dragons of Kyrnn with a furry eye, looking and hoping for anthropomorphic tales that elevated a dragon from monster to character. 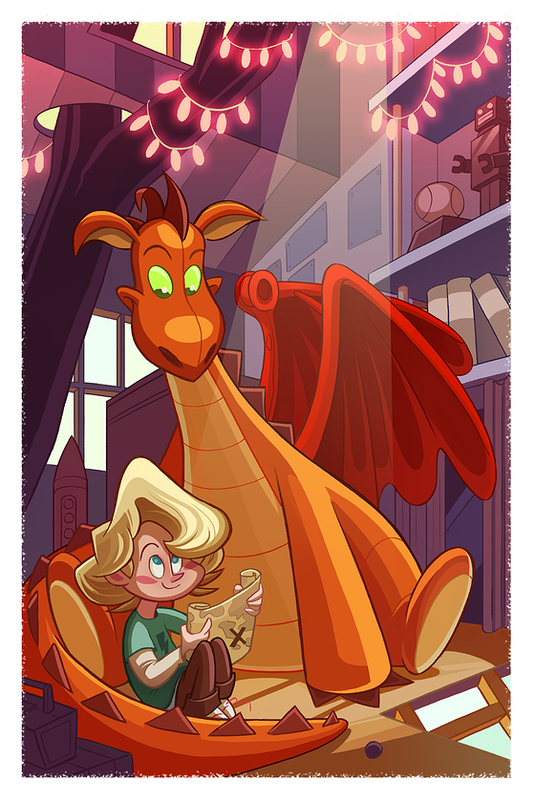 Interestingly enough, some of the best of the stories had very little dragon in them. 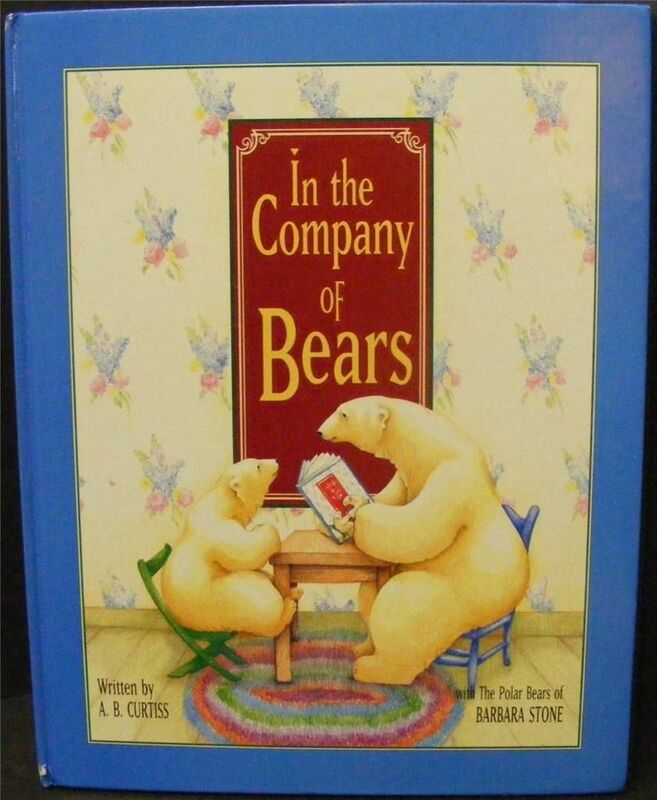 Still, there were five stories in the collection that I will recommend to my fellow furries and scalies. Wizards of the Coast (TSR), March 1, 1994; trade paperback (390 pages, 15 stories, 3 poems). As I was looking for a furry game to review this month, I didn't have to go too far before I ran into a promotional video that caught my attention. Despite the simplistic voice acting there was something about the aesthetic and the sense of humor that dʒrægɛn: A game about a Dragon held about itself that seemed to garner immediate interest and curiosity. So what is this game about a dragon? Let's take a look and find out. 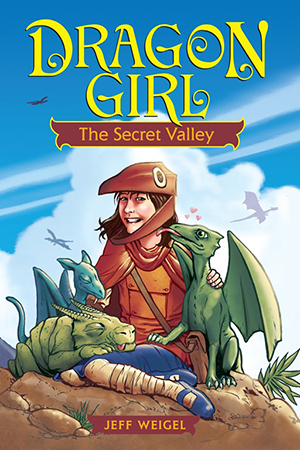 More new dragon fantasy books: Spirits of the Sun, Book One in the new Diego’s Dragon series by Kevin Gerard (published by Crying Cougar Press). “An eleven-year-old Latino boy wins a district-wide writing contest for sixth graders. When an author visits his school to award his prize, Diego Ramirez has no idea how much his life is about to change. Nathan Sullivan hands Diego his statue, a handsome, glistening black dragon. After hearing the name Magnifico spoken aloud by family and friends, Diego awards it to his new dragon. If he only knew how fitting the name was, he might have known what lay ahead: Magnifico is the leader of the Sol Dragones, dragons that live within the magical fires of the sun. Nathan Sullivan is the earth’s connection to the mysterious creatures. It is his task to find Magnifico’s guide. As Magnifico comes to life he becomes quite mischievous, playing tricks on Diego to embarrass him. 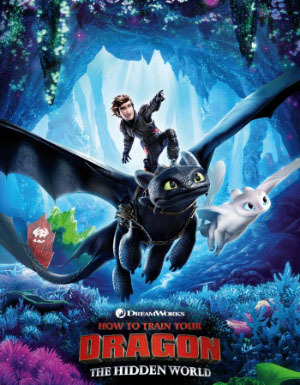 As he discovers his bloodline, however, Diego assumes greater control over his dragon and his destiny.” There’s a video on YouTube introducing you to the series, and more information over on the official web site. He Walks With Dragons is the first book in a new fantasy series of the same name by author and poet Stanley S. Thornton. As he points out, unlike your average fantasy series this does not take place in a fantasy land — it imagines dragons in our actual world, influencing human history and human evolution. “Draig, a boy on the verge of his manhood, is summoned to the majestic mountain by the Great Ones. There he finds out he is about to transcend the ages and risk his life to prevent the destruction of mankind. Born into the naïve innocence of ancient man, Draig lives a simple pastoral existence in a quiet, small village. But one day he is flung on a magical journey into a forbidden new world. There Draconos, a dragon, befriends the boy, training him in the art of warfare. From this day forward, the young boy finds himself in awe at the wonders the world holds for him. 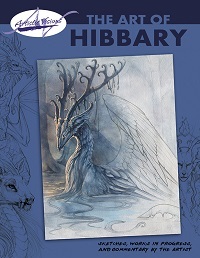 Not only has Draig become a man, but he is living like a dragon and learning their mystical powers… And when the time comes, will Draig be willing to lay down his life for the sake of saving the dragons? And when the dragons are gone, where will he go?” He Walks With Dragons and The Staff And The Orb, the 2nd book in the planned 4-book series, are available now. Visit the author’s web site to find out more about the series and when the next books are coming. Psycologist, hypnotist, and philosopher, A.B. Curtiss is also and accomplished author with several award-winning books to her name. And several of her fiction books just happen to be of interest to furry fans. Legend of the Giant Panda (illustrated by Mirto Golino) is exactly what it sounds like: A mythic telling of how pandas got their distinctive black and white markings. Hallelujah, A Cat Comes Back is a “cat book of virtues”, where a young tom gives us the feline wisdom brought down to him from his wise granny-cat. Illustrated with a collection of Victorian feline prints. Dragons Guard The Zoo is a collection of poems on many subjects, including animals real and fanciful. 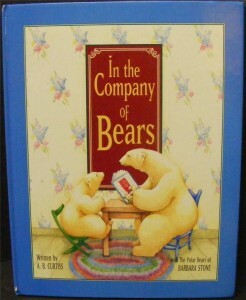 And In the Company of Bears (illustrated by Barbara Stone) has been described as a “children’s philosophy book”, in which bears are used to illustrate soothing rhymes about accepting people for what they are. All of these and more are available on Amazon and at Ms. Curtiss’ web site.